It's no secret that WWE's TV attendance and Live Event numbers have fallen in recent times, often to record low numbers. Vince McMahon would address the issue in the company's fourth quarter 2018 earnings call. 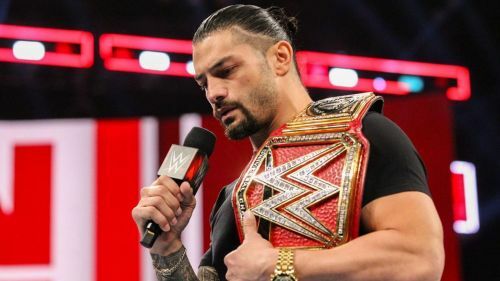 McMahon attributed the same to Roman Reigns having to step away from television owing to leukaemia and also to the recent injury bug that has claimed the WWE roster. I thank Wrestling Inc. for the quote. SmackDown Live this past week did a record low number. As did the Christmas Eve edition of RAW, for obvious reasons of course. Many have blamed the quality of the product for the decline in ratings, but the Chairman of the Board begs to differ on this particular account. This year, leading up to where we are now, we've had an inornate number of injuries. And when you have injuries... you know, there's a whole bunch of them. Roman Reigns being the principle among them. And even John Cena, not an injury type thing but we thought we were going to have John be more of a part of our programming than we do. John, God bless him, is making more movies. And even John, I would think, would say, 'Geez, I thought I was going to spend more time with what I love to do,' which is WWE. So, he's been coming in and out, he's not really a part of out storyline. It's no different if you're writing a soap opera and all of a sudden your main character wasn't there. You're in the middle of production, what do you do? You very nimbly change the storyline, but it's not as good as the original one. Sometimes it is better because we're pretty good at it, but those are things that we're faced with, and one of the reasons why television ratings have dropped. And one of the reasons, obviously, from a live event standpoint, that's dropped too. Because if you don't have your favorites on television, obviously you can't see the at a live event either. WWE will hope that some of the names on the injured list recover soon indeed. Because if they don't, WrestleMania season may be in peril. Let's hope things work out for McMahon and the WWE! Do you think injuries are the reason for low TV ratings? Sound off in the comments.